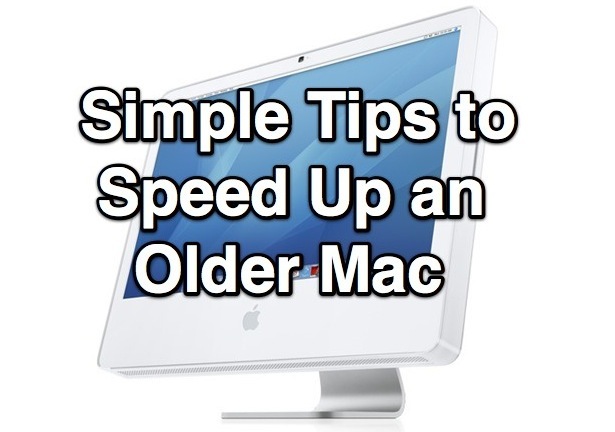 If you have an older Mac that feels slow and sluggish from time to time, follow these simple tips to regain some long lost speed. We’re going to keep it simple with real tips that will speed up a Mac that are not overly complex or complicated. Nothing here is too technical or time consuming either, these are just simple tricks that should help your old Mac performance a bit. Ranging from a few basic Finder tweaks to some general maintenance and usability tips, your Mac should be feeling quicker in day-to-day tasks in no time. Let’s get to it! The first three tips can be done in the same “View Options” panel, so take care of those at the same time. Be sure to click “Use as Defaults” so the changes are universally accepted, not just on a per-folder basis. Disable Item Info in Finder – This shows you things like dimensions of pictures, it’s useful but it has to be pulled from the file and takes resources to do so. Disable it if it’s enabled. Disable Size Calculations – While it’s handy to see the file and folder size of everything while in directory list view, it causes the system to check each files size and add them together. With huge folders, this can take a very long time and it’s not unusual to find the Finder process taking up 15-20% CPU while the sizes are being generated, disable this. Remove Login Items – This will mostly speed up the boot process by reducing the amount of applications that are launching on boot and reboot, but it also has the benefit of reducing running processes which are taking up system resources. A general rule of thumb is this: if you don’t use something, disable it. Keep 5% of Total Disk Space Available – Be sure to always have sufficient free space available on the hard drive for caches, temporary files, and virtual memory (swap). Once your hard drive gets full or almost full, things will really slow down as the operating system is constantly having to remove and manage cache files and virtual memory to make room for new caches and swap items. Doing this on demand is slow and bogs down resources, so keep a healthy disk space buffer and prevent the headache. This is good advice for all computers really, old or new. Clear Files and Folders Off Desktop – Each file and folder shown on the desktop uses memory to display. Use the home folder and their directories to sort and store files, or at the very least, throw everything from the desktop into another folder and keep it in your home directory. We’ve covered this tip before and we’ll reiterate it again because it can make quite a difference, especially on older Macs. If you can’t remember to do this, there are apps that will do it for you. Use the Fastest Web Browser and Slim it Down – Typically the most up to date version of Safari is the fastest browser on a Mac, though many swear by Chrome as well. Whichever browser you choose, limit the number of tabs and windows you have open, and disable or remove all browser extensions and plugins that aren’t 100% essential. 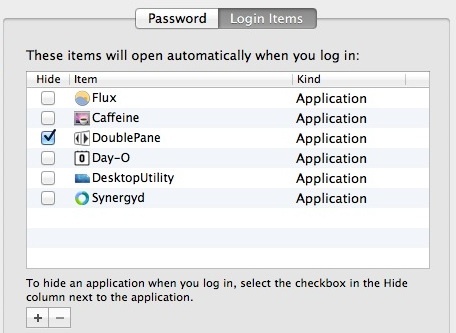 Quit Unused Applications – While this may seem like common sense, nearly everyone is guilty of leaving apps open that aren’t currently in use. Most newer Macs with quick drives and plenty of RAM can handle this just fine, but older and slower Macs really feel the pinch when a handful of apps like Photoshop or Firefox are left running in the background, even if they’re not in use. Get in the habit of quitting apps when you are done with them, or if you aren’t going to use them for a while. Reboot the Mac – Get in the habit of rebooting the Mac more often, many of us let a computer sit idle for days or weeks on end, sometimes just sleeping a computer too. But rebooting a Mac will allow it to clear out system caches and perform maintenance that the system manages itself, so rebooting can be beneficial to performance. Bonus: Clean Reinstall Mac OS X – OK this isn’t necessarily simple or convenient, but completely formatting and reinstalling Mac OS X can make a huge difference in performance because it forces you to start from scratch with no installed software, no lingering cache and preference files, no custom settings, nothing. If your Mac is especially old, say from 2006 or 2007 and still running the same version of OS X it shipped with, a fresh reinstall is strongly recommended. Give these and go and let us know how they work for you, and chime in the comments with any of your own performance tips while you’re at it. While you’re at it, don’t miss some basic Mac OS X maintenance tips too, though you already have cleaned off the desktop, and you regularly back up your Mac, right? 1. The article wasn’t talking about security, so bringing up the pwn2own contest results is useless. 2. Chrome was the first browser to get hacked in the 2012 pwn2own. 3. Safari is still faster. Good advice, I never thought about disabling the Finder stuff. FWIW I think Safari manages RAM better if there is only one window, but Chrome is faster with multiple tabs and windows. 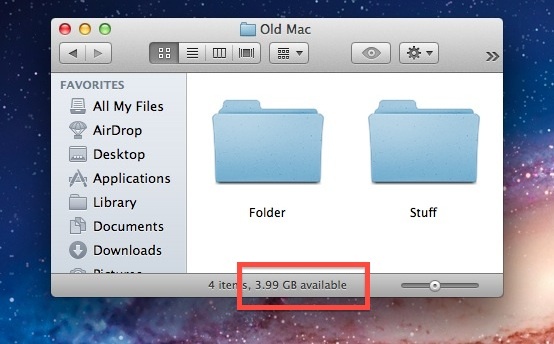 Tip #3, in my opinion, is just a workaround to avoid Finder to get jammed even on newer macs. It’s a shame Apple takes care of Finder soooo badly. It has way less important features than Windows Explorer and it gets stuck much easier than other file managers. Except the most up to date version of Safari is not available on Leopard or earlier machines. 1. Add RAM. If you have 4 GB of RAM or less, put in another 4. This will not invalidate your warranty, and big memory-hungry applications like MS-Office and iBooks Author will suddenly start to perform like they were supposed to. But unless you do a lot of video editing there’s no point in going over 8 GB. Not yet, anyway. Use a SSD and performance will rapidly growing. More than 4GB is a must. In older iMacs and Mac mini’s with “Merom”-cpu(first core2duo) you can upgrade the cpu to a faster version of that. It’s on a socket! 10. Install an SSD and not have a care in the world! Nice tips to improve Mac speed. I have used Stellar Speedup Mac to delete all unnecessary files, system junks, logs, widgets, language files etc. to keep it optimized. You can even schedule cleaning process by using this tool. I find that making sure there aren’t too many icons in the dock speeds up my mac. Especially Minimised windows, they seem to use tons of RAM.